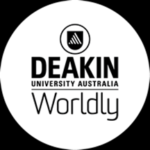 A Special Issue in conjunction with the Colloquium organised by the Centre for Sustainable and Responsible Organisations, Deakin University, Australia. Description: The Colloquium seeks to enhance our broader understanding of Sustainable Development Goals (SDGs), serving as a catalyst for scholarly work that explores the domain of SDGs to an inclusive focus across teaching and research to build links with industry and private sector for sustainable development. Open to all, the colloquium provides an opportunity for participating academics, early career researchers (ECRs) and doctoral students to discuss and share their research ideas, approaches and experiences of integrating SDGs across research, curriculum and within the broad field of business. Since their adoption, the SDGs have emerged as a predominant guiding framework not just in the long term strategies of governments and organisations, but also for higher education institutes through their commitment to the Principles of Responsible Management Education (PRME) that seek to develop students as responsible future leaders and effective global citizens. Despite increasing attention among a growing number of business schools globally to commit to PRME, the understanding of how SDGs can be integrated in course offerings, research and partnerships for meaningful impact is still in an embryonic stage, with critical issues regarding the opportunities and challenges of their integration across research and curriculum unexplored. How can SDGs be integrated in the course offerings, research and partnerships for creating meaningful impact? How can SDGs act a means to build links with industry, academia and private sector? What are the most useful conceptual models and empirical analysis of the integration of SDGs across curriculum? What role can stakeholders, such as private sector, academia, and networks play in promoting the SDGs? What strategies, resources and capabilities are needed to effectively integrate SDGs across research and teaching? Are these specificities different in developing countries? How to account for the variation? Which of the seventeen SDGs have been more prominent and which goals need attention? Does this differ across developed and developing economies? What are the practical and methodological challenges of incorporating SDGs across the course offerings and research practices? Do these challenges differ across developed and developing economies? What are the practical challenges of implementing SDGs across developed and developing countries and how can these serve as opportunities for developing innovative and stimulating new avenues for sustainable development? How can SDGs be leveraged, or mobilized, for greater developmental impact? How can the impact of SDGs be measured? How and under what conditions, the integration of SDGs across research and teaching create micro (individual), meso (organizational) and macro (societal) level impact for sustainable development?